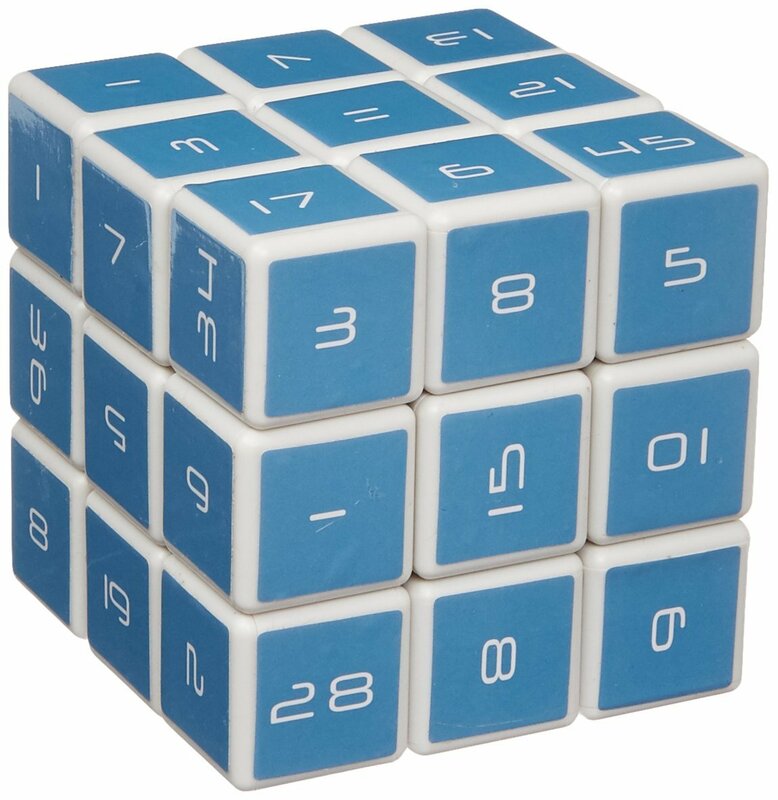 The Number Cube is a 3D logic puzzle designed to test your metal agility and teach you about famous mathematical number series. A patented redesign of the familiar Rubik’s cube, the Number Cube is a 70x70x70mm cube of twenty-seven cube-oids that are arranged on six faces, four of which can be rotated. Each cube-oid is made from solid material and measures 23x23x23mm Unlike the traditional Rubik’s Cube,the faces of each cube-oid are the same color and are inscribed with numerals, each forming part of a number series that holds historic significance. As with a regular Rubik’s Cube, each face of the Number Cube can rotate independently in either direction, using an internal mechanism, allowing the number sequences to be mixed up. In order to solve the Number Cube puzzle, each face must be returned to its original intended configuration. In addition to its captivating design and intriguing puzzle, the Number Cube is also intended to stimulate interest in fundamental concepts of number theory. This product was added to our catalog on 20.02.2016.